So it’s been Christmas and New Years is around the corner and I do not want to pile on pounds like most other years. So I’m trying healthy new recipes that keep me focused on my meal plan! Cause we all know, once you start with all those cookies and cupcakes, it’s really tough to stop. Anyway, i LOVE these pancakes as a mid snack. It requires a little effort to make these but it’s totally worth it! Mix everything together, heat the pan, add 1 tbsp butter, spread your batter and go crazy with how great it tastes! 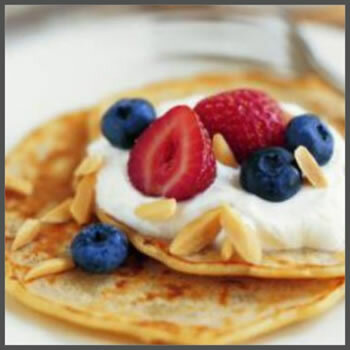 If you don’t want to add sugar, use fruit yoghurt on the side or low sugar natural jam or peanut butter + 1 tbsp jam or some dark chocolate chips. A lot more of these coming up this December… Stay tuned!